The HIMSS Annual Conference & Exhibition is the largest healthcare IT conference in North America, attracting over 40,000+ health professionals, clinicians, executives, and suppliers, like Swiftqueue. 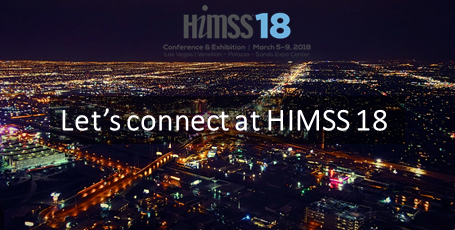 We are excited to be attending HIMSS18 and be part of the cutting-edge health technology scene, attend some of the 300 education sessions and hear from thought leaders in the industry. Growing demand….higher expectations….more patient interactions. This is the reality of healthcare today. At the conference, don’t forget to stop by to see Swiftqueue at BOOTH #12309, HALL G and we would love to demonstrate how our enterprise scheduling platform delivers better-managed solutions for clinicians, administrators, health managers and patients. We will also share with you how our customers have seen the benefits across Community Care scheduling home visits, Primary Care for GP’s and eReferrals, Out Patient Department for Waiting List Management, Speciality Clinics in Oncology and Cardiology, Diagnostic Departments in Pathology & Radiology and Telehealth for scheduling virtual consultations at scale.